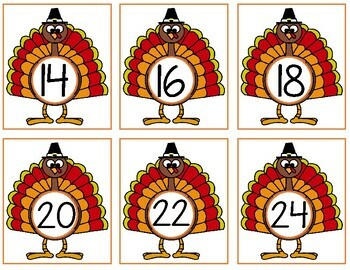 This pack contains four sets of Turkey numbers for skip counting. 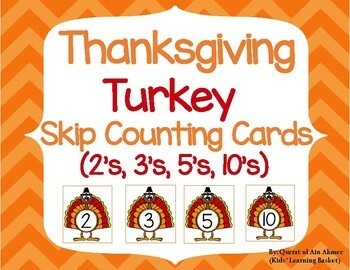 These skip counting cards allow students to practice figuring out what number comes next in a sequence when counting by 2's, 3's, 5's and 10's. 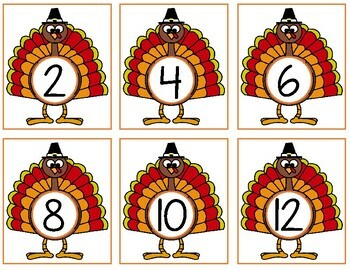 Recording sheets are included to allow students to write numbers in sequence on black and white turkey picture. Print these cards out on card-stock and laminate them for long term use.